The town is located at the foot of some spectacular Inca ruins (entrance with the Tourist Ticket 'Boleto Turistico') which protected the strategic entrance to the lower Urubamba Valley. The temple area is at the top of steep terracing which helped to provide excellent defences. 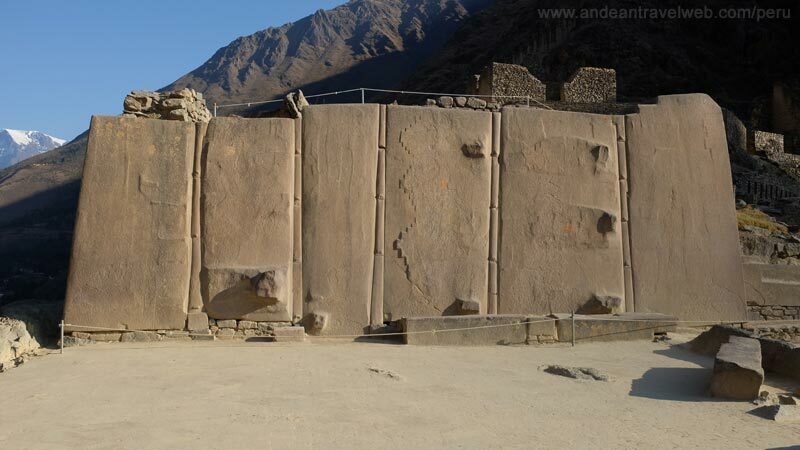 Stone used for these buildings was brought from a quarry high up on the opposite side of the Urubamba river - an incredible feat involving the efforts of thousands of workers. The complex was still under construction at the time of the conquest and was never completed. After Manco Inca was defeated by the Spanish at Sacsayhuaman following the unsuccessful siege of Cusco (1536) he retreated to Ollantaytambo. Francisco Pizarro's younger brother Hernando led a force of 70 cavalry, 30 foot soldiers and a large contingent of natives to capture Manco Inca. The Inca's forces, joined by neighbouring jungle tribes, rained down showers of arrows, spears and rocks upon the unfortunate Spanish troops. In an intelligent move the Inca's flooded the plains below their stronghold making it difficult for the horses to manoeuvre. Hernando, uncharacteristically, ordered a hasty retreat. 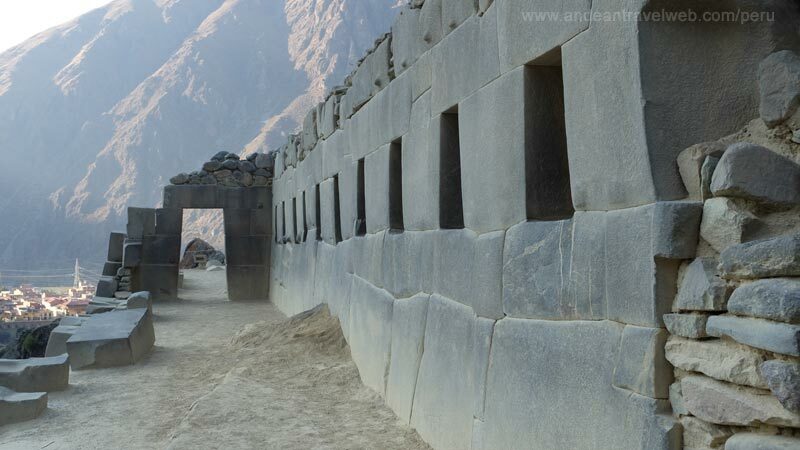 Ollantaytambo became the only place ever to have resisted attacks from the Spanish. However, their victory was short-lived when the Spanish returned with four times their previous force. Manco Inca retreated to his jungle stronghold in Vilcabamba and Ollantaytambo fell into the hands of the Spanish. 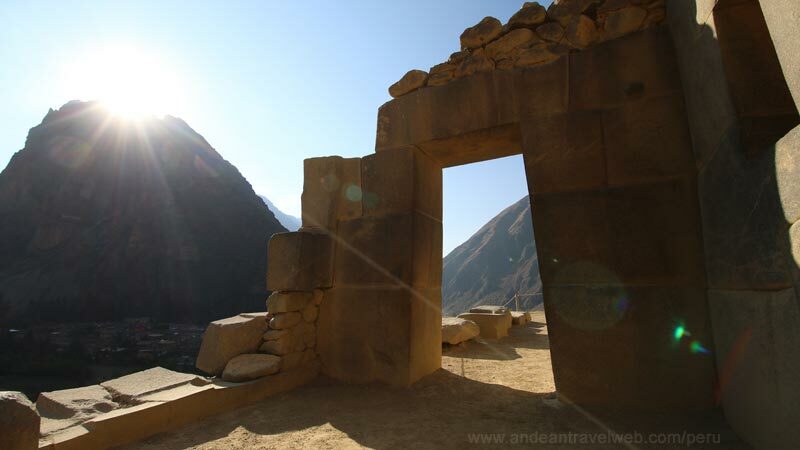 Entrance to the ruins at Ollantaytambo is included in the Cusco Tourist Ticket (Boleto Turistico) which costs 130 Peruvian Soles and is valid for 10 days (although you can enter each site just once). The ticket is best bought in Cusco but it is also on sale at the entrance to the ruins. If you don't want to buy the complete ticket you can buy a partial ticket which costs 70 Peruvian Soles and is valid for 2 days allowing entry to Pisac, Ollantaytambo, Chinchero & Moray.